OH honey WORK!!! This is hot! I’m not even a big Mary fan but it’d be a blatant lie to say she doesn’t look/sound smokin’ in this video! And I usually don’t like Wayne much but danggg. Everything about this song is just right. Diddy’s verse rules. I can’t stand it! It’s so good. Love the video, the concept, the sound, and oooh that bassline! Sweet lord that’s nice. Werk werk werk. WERK. I am full-force behind this J.Lo comeback movement. I LOVE HER. Her & Steven Tyler really turned American Idol around this year and her sweet personality made it so much more enjoyable and heartwarming. She seems like a genuinely nice, caring person, which is good to see. Also, she’s making killer music! Oh and one more thing – she’s 41!! Seriously? That’s crazy. Hottest. Mom. Ever. 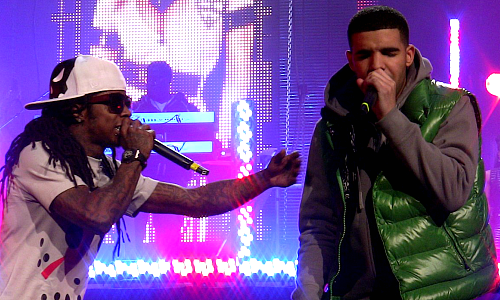 Oh yea and Lil’ Wayne’s on the track, but quite frankly I wish he wasn’t. Here’s Lil’ Wayne’s new music video, “6’7′”. I regret not posting this song when it first came out – although sacrilegious to teenage girl society, I cannot stand Lil Wayne most of the time, so I ignored the fact that he released a new single. You think I’d learn from myself, right? Nope. I listened to the song finally about 2 weeks ago and was smitten. Stupid Jill. Also, the music video is really good! It’s not strictly naked ladies & weed – I mean, it has it’s fair share, but there’s other elements! OTHER ELEMENTS! It follows the story of Inception and is just entertaining, which is what a music video should be, right? Take “What’s Wrong With Them” home. New Nickiiiiii. Love her. Wheezing Weezy and Nicki bring you more hip hop and vulgarity, what more could you ask for!? Sorry for the sarcasm, it’s actually a pretty good song. If it wasn’t, it wouldn’t be within 10 feet of this blog. The version I have has really obnoxious tags in it, so if it really bothers you, YouTube it. Love the heavy beat in this song and Nicki’s talk-singing too. 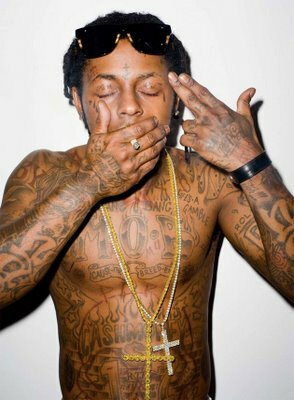 Lil’ Wayne, you’ve created a monster! SHE’S COOLER THAN YOU!